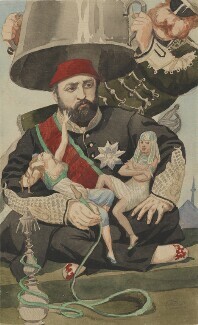 Born in Istanbul, Aziz was the son of Mahmud II. 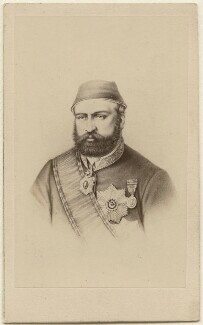 He was the thirty-second Sultan of Turkey reigning between 1861-1876, succeeding his brother Abdulmecid I. 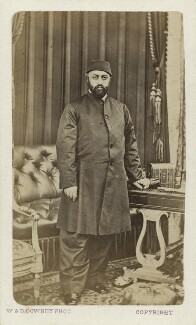 During this time, he developed good diplomatic relations with France and Britain. 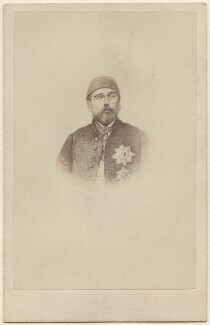 In 1867, he visited Europe, the first Ottoman sultan to do so. 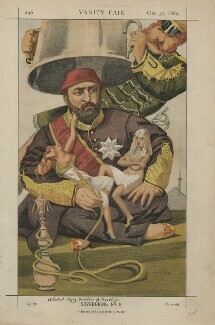 This included a visit to London where he was honoured by Queen Victoria by being made a Knight of the Garter. 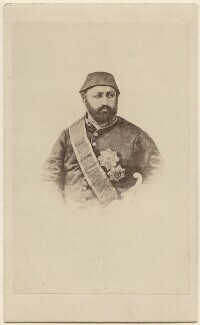 Aziz became recognised for his modernisation of the Ottoman Navy, which by 1875, ranked as the third largest navy in the world after Britain and France. 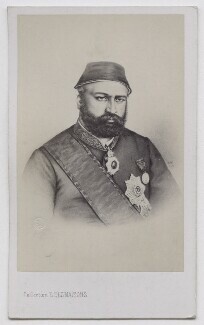 Aziz also oversaw developments in the Ottoman railroad network; Sirkeci Train Station in Istanbul, terminus of the Orient Express, was built during his reign.